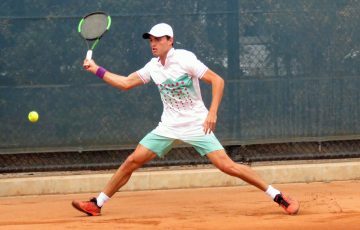 The Australian Pro Tour will start its South Australian leg next week at the City of Onkaparinga International and at the City of Salisbury Tennis International. 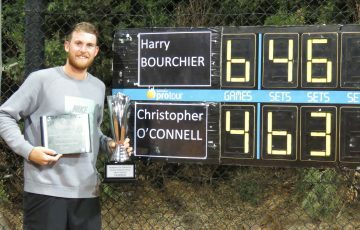 The Australian Pro Tour will start its South Australian leg next week at the City of Onkaparinga International (men’s event) and at the City of Salisbury Tennis International (women’s event). Junior Grand Slam champion and Riverland local Luke Saville (Barmera, SA) will lead a world-class field at the men’s tournament to be held at Happy Valley Tennis Club from 9-16 September 2012. Eighteen-year-old Saville will be looking to win at home having opted out of the US Open Juniors in New York this week. Joining Saville will be Michael Look (Scarborough, Qld), whom he defeated last Sunday to win the Cairns title. Look will also be wanting to stamp his mark on Happy Valley having won the tournament last year over Adelaide’s Colin Ebelthite. 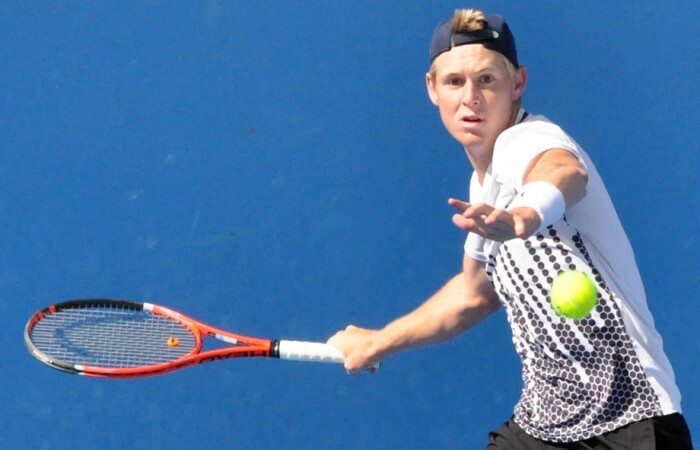 Former World No.220 Sam Groth (Templestowe, Vic), James Lemke (Camberwell, Vic) and Saville’s AIS Pro Tour colleague Alex Bolt (Murray Bridge, SA) are just some of the others who will compete for $USD15,000 in prize money. Joining the Australians will be international players from Japan, New Zealand, Israel and USA. Young guns Li Tu (Adelaide, SA), Bradley Mousley (Wynn Vale, SA), Jack Schipanski (Glengowrie, SA) and Lawrence Bataljin (SA) will vie for a place in the main draw when qualifying begins on Sunday. Tournament Director of the City of Onkaparinga Tennis International, Ryan Peremiczko, believes the event is a great opportunity for national talent to gain valuable match experience against international players as they climb the world’s rankings. 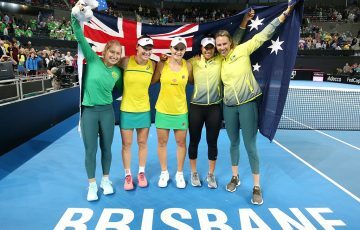 “To have players come from abroad to Happy Valley and play alongside our national talent is fantastic for the tournament and the Australian Pro Tour,” Peremiczko said. Peremiczko also praised the City of Onkaparinga Council for their ongoing support and encouraged the community to get behind the future of Australian tennis at the event. Up north, the new USD$10,000 women’s tournament, City of Salisbury Tennis International, is set to take place for the first time at the Salisbury Recreation Precinct, 9-16 September 2012. 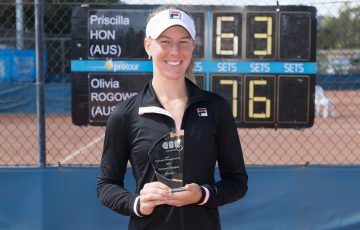 Western Australia’s Bojana Bobusic (Perth, WA) will be the top ranked Australian, as she aims to defend the title she won last year at the Mount Gambier tournament. She will be joined by 2011 Fed Cup member Sally Peers (Glen Waverley, Vic), Tammi Patterson (Brighton, Victoria) and Stephanie Bengson (Albion Park, NSW). South Africa’s Chanel Simmonds will lead the international field. The 20-year-old, who holds nine ITF Pro Circuit titles, will travel to the City of Salisbury as will a host of others including Slovakia’s Zuzana Zlochova and Japan’s Chiaki Okadaue and Mai Minokoshi. Brooke Rischbieth (Barmera, SA), Amy Sneath (Pooraka, SA) and Nicole Kraemer (SA) will lead the local junior charge when they compete in the qualifying draw. “It’s set to be a great week of world-class tennis for Adelaide locals,” said Ty Allen, Tournament Director of City of Salisbury Tennis International. “The City of Salisbury has really embraced the opportunity to host an international tennis event, and we’re looking forward to delivering a great tournament in conjunction with the Salisbury Recreation Precinct,” Allen added. The Mayor of Salisbury is thrilled to host the international sporting event and looks forward to welcoming the players to the city. “We are excited that we have the opportunity to host the inaugural City of Salisbury International Tennis Tournament,” said Gillian Aldridge, Mayor of Salisbury. Following these events the Australian tour will move to Port Pirie for the Nyrstar Port Pirie Tennis International (15-23 September 2012).